The first keys appeared about 6,000 years ago in Ancient Babylon and Egypt at the same time as the first locks were invented. The keys were wooden, tooth-shaped, heavy, bulky, and were used to lift the small pins hidden in the small opening near the bolts. The engineers and inventors of Ancient Rome improved upon these wooden keys and locks by making them smaller, lighter, and stronger with iron and bronze. Soon the large flat keys with pins on their ends evolved into the Skeleton Keys which were simple cylindrical shafts with one single, rectangular tooth. The Skeleton Keys survived the fall of the Roman Empire with minor changes and continues to exist today and used for homes built before the 1940s. American mechanical engineer Linus Yale, Sr. and his son introduced in the mid-1800s the modern flat keys. They’re easy to mass-produce and became an instant hit around the world. 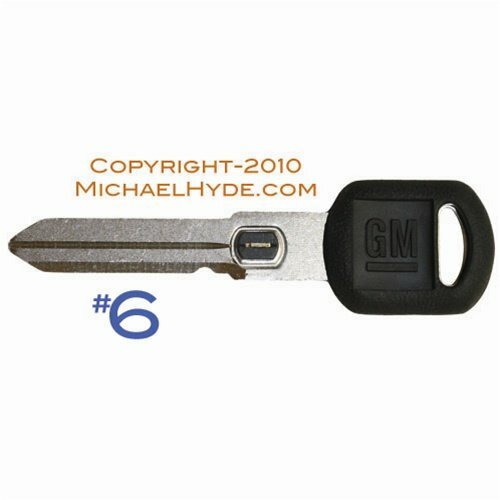 This type of key is often called a “chip key” and is very commonly used in vehicles. They operate by triggering a radio signal to the car. They are great at preventing theft if the wrong circuit code is used, and since they are so difficult to duplicate, it’s very hard for someone to make a copy of your transponder key to steal your vehicle. There are even some types of vehicles that will shut down when the wrong transponder key is used, which even further reduces the possibility of a vehicle being stolen. Because the key has a microchip that is programmed to the ignition code, it will not be able to start any other vehicle. These types of keys are expensive and difficult to cut and are some of the safest types of keys on the market. It is impossible to duplicate these keys using key cutting machines, and a locksmith has to be able to access a car manufacturers’ database in order to get information about the car code in order to create a new key. While similar in style and design to mechanically cut car keys, these keys are much more accurate and complex, which will provide the owner additional security. They are also commonly called “sidewinder keys,” and they have patterns and ridges that are cut into the key on both sides. This makes them significantly more difficult for people to duplicate, which is ideal. 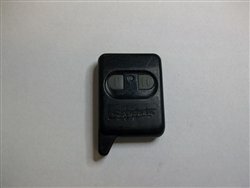 In order to duplicate this type of car key, a person needs to have access to specialized machinery. Locksmiths are able to cut these keys by using an internal machine that will cut both sides of the key. The end result is a unique key that others will not be able to copy. Dimple keys are less complicated types of keys that rely on dimples in the actual key to open a lock. The dimples, which are cone-shaped, that are located on the key itself will match with other dimples in the lock. When the dimples align properly, you will be able to easily open the lock. One thing that makes dimple keys easy to use is that there are two sets of dimples in the lock and the dimples located on the key are aligned in the same way on each side. This means that you don’t have to insert the key in a particular position in order to be able to unlock the lock. Valet keys are specifically designed to open locked car doors and will allow the person with the key to start the car. While these keys do contain RFID chips, they are coded so that they will inhibit any access to other parts of the vehicle. This means that when you use a valet key, you will not be able to open the glove box, trunk, trunk release, or seat backs, which provides a lot more privacy and security. While many people think that valet keys are the same as door keys, this is not the same. Door keys will only open the door and won’t allow you to start the car. It’s a good idea to have a valet key cut if you like to enjoy valet service on a regular basis, as this will allow you to take advantage of this service without worrying about the safety and security of your car. While most people picture a typical car or door key when they think about what a key looks like and how it functions, key cards are also keys, even though they look completely different. They have magnetic strips on them that will unlock a door when inserted into the locking device. Keycard keys are very similar in size and shape to credit cards and are used in situations where you need to be able to guarantee security or when you need to change locks on a regular basis. One of the most common locations where you will experience using a keycard key is in a hotel. They are ideal because the manager can easily control which keycards will unlock which doors and can even cancel keycards if guests forget to return them after their stay. These keys are also used in secure locations, such as government buildings. Instead of making an employee carry a key for each door that they have access to, when they have a keycard, it can be programmed to allow them access to certain locations and to deny them access to others, if necessary. Programming keycard keys are very fast, simple, and inexpensive, making them a great choice for locations with a lot of turnovers, such as hotels, or when you need to be able to monitor and control who has access to certain locations. Tubular keys are used to unlock tubular pin tumbler locks, and are sometimes referred to as “barrel keys”. They have a hollow, cylindrical shaft that is larger in diameter and shorter than traditional keys. If you have a bike lock or need to open a vending machine, then it is very likely that you will need to use a tubular key. One of the main benefits of using this type of key instead of another tumbler key is that tubular keys are incredibly difficult to duplicate. This means that you won’t have to worry as much about your security when you opt for a tubular key, as the chances of someone being able to copy it correctly are very slim. Master keys are very different than most other types of keys because they are designed specifically to open multiple locks, not just one. These locks have been keyed specifically to their own separate keys and to allow a master key to unlock them as well. These keys are beneficial if you are in a situation where you give out keys to a number of different areas or rooms in your building but still want to be able to access them in an emergency without bothering the keyholder. The systems designed to work with master keys have a number of locks or cylinders that will allow you to open the lock in addition to the main key holder being able to open the lock. This is a great way to avoid problems if the keyholder were to lose the key by accident, as someone will still be able to access the space. Additionally, as the master key holder, you don’t have to worry about keeping a number of different keys on hand, as you can rely on just one key to allow you access to any location. Unfortunately, losing the master key can have bad consequences, and it’s important to make sure that you only trust a professional with the master key so that they don’t abuse the power of unlimited access to locations. Paracentric keys are only used to open and to lock paracentric locks. They are generally fairly easy to identify due to their strange shape and unusual design. Generally, paracentric keys will have very small teeth at the end of the key in addition to a contorted blade. While most people will never use or see a paracentric key in their life, they are very important and popular for use in prisons. Due to the shape of the key and the lock itself, it is very difficult to pick these locks, making them ideal for use when you do not want anyone to be able to open the lock without the key. This type of key is incredibly difficult, if not impossible to pick. They are used on disc tumbler locks. This type of lock has a special key that will rotate the discs like a tumbler, which will cause them to align so that the lock can be unlocked. They are springless locks, which makes them incredibly difficult to pick. While not very popular in some countries, there are areas of the world where almost all of the locks used are an Abloy lock and key system due to the safety and security of these keys. They are great if you want to make sure that your home will not be entered by an unauthorized person. This is a type of master key that is also called a “passkey.” The serrated edge of the key is generally sanded down so that the key can be able to open a number of different locks. While the name may sound scary to some people, it is only known as a skeleton key because the key has been reduced to include only the essential parts. Some people use the term “skeleton key” to refer to any type of master key or keycard that can be used to open a number of locks, while others erroneously use the term to describe bitted keys that are used on lever tumbler locks. Generally, skeleton keys can be created by simply removing the middle of the key, which allows the key to enter and turn a number of locks. Many people associate these keys with illicit activities, such as breaking and entering or to open handcuffs, as it is possible to file down the original key for these purposes. There are legitimate skeleton keys and uses, including when you have lost the original key or it is simply unavailable. These keys are easily recognizable due to the X-shape of the profile. While mainly used in industrial applications, they can be used in any location when you want to make sure that you have an efficient lock and key that would be very difficult to pick. The cruciform key has three sets of teeth that are located at 90-degree angles to each other. The four sides are flattened. While it is very easy to duplicate this type of key, it is incredibly difficult to pick the lock. This type of key will rely on magnets to lock and unlock the lock. When the magnets are oriented correctly then it will cause a push or a pull inside of the lock, moving the internal tumblers so that the lock will release. This is a passive locking system that doesn’t need any kind of electronics in order to activate the mechanisms. By combining a number of different magnets with different strengths and aligning them at different polarities, you can easily create a lock that is more difficult to pick. This will result in thousands of combinations for each key, making this type of key a great choice for extra security. These are the keys that most people think of when they try to picture what a key looks like. They have either two or four sets of teeth. If you want to make sure that you have a very durable and safe key, then opt for a four-sided key as opposed to a double-sided key. The two extra sets of teeth will make the key much more difficult to pick. This is a great, inexpensive way to improve the security at your home or your office without having to install a new home security system. This is the most common type of car key and is also the oldest type available. They are made with very basic machines and tools, which makes it very easy for most locksmiths to cut a replacement key if necessary. The ridges and lines that are cut into the key are only on one side, which makes it easy to use a cutting machine to complete the job. Unfortunately, this also means that these keys are the easiest ones to duplicate. They can be made to fit any lock or type of keyhole. Since they are not very advanced keys, it’s easy for people to cut their own key on a self-service key cutter at some big box stores. This means that if you have a mechanically cut car key that you need to be very careful not to lose it, as it would be easy for someone to copy. While these car keys are very similar to transponder car keys, they are significantly more advanced than anything else that is currently on the market. This not only means that when you have a problem with your smart car key that you need to go to a professional for help, but also that they are very difficult for people to duplicate, which will ensure that you don’t have problems with people stealing your key. The owner of a smart car key is able to open and close doors remotely and can even start the car’s ignition from outside of the vehicle. Because these keys are still rare, especially when compared with other types of car keys, they are harder to duplicate. Many locksmiths are finding that they can create a backup key for the car owner by duplicating the code method that they use to create new transponder keys. Vehicle Anti-Theft (VAT) keys are an upgrade to your normal key that will improve security and safety. They include additional safety measures, such as adding a security chip to the key. Doing so will make it more difficult for people to open the door if they do not have the correct type of key. The type of additional security measures will depend on how much security the owner of the key wants to have. These keys are incredibly difficult to replace, as the security chip that is embedded in the blade of the key is custom and the code will change. It is very difficult to get a replacement for your car key made. Generally, locksmiths and other key companies will recommend to their customers to buy a new set of keys, duplicate the original key, and then create a new VAT chip. Because the code to the key can sometimes be so specific, the locksmith may not be able to access it. This means that while these keys are ideal if you want to have the most security possible from your keys, they are not great if you lose them, and they can be very difficult to replace. In order to be able to open and start your vehicle, then you will need to make sure that you have a car key. These keys come in a variety of different types and styles, depending on the make of your vehicle, as well as how old it is. When you lose your car key, then you need to make sure that you work with a locksmith who can cut you a new key that will operate with your car. This isn’t very difficult if you have a very basic key, such as a mechanically cut key, but if your car key is more advanced and contains an anti-theft code or a microchip, then they can be significantly more difficult to duplicate. Since there are six different types of car keys available, it’s a good idea to know not only what kind of key your vehicle has, but also what you would do if you were to lose it and the information that you would need to have another one made right away. You have to make sure that you have a key to get into your home and your office, but generally, most people don’t give a lot of thought to the keys that they will use. If you have a normal lock and key, then your home is likely very secure, but there are some ways that you can increase the security so that you don’t have to worry about someone breaking in. This is especially important if you travel a lot and want your home to be secure while you are gone or if you do not want someone to be able to break into your office. Unfortunately, most home and office keys are very easy to duplicate and can often be duplicated in a self-service key cutting machine. To ensure that your key is secure, you need to make sure that you choose a lock and key that have patented keyways. This will reduce the possibility that someone can easily copy your key. Regular home or office keys are very easy to copy. Some office keys will be stamped “do not copy” to reduce the risk of employees making copies of the keys without permission. Most locksmiths will not copy keys that have this stamped on them, but this is not the best form of protection for a business. Most people can easily recognize a padlock key due to its small size. They are generally about half of the size of a normal house or office key and are keyed to a specific padlock. If you lose your padlock key, then many locksmiths can duplicate your key for you with the information from the brand of padlock and information about its type. Otherwise, there are other options to open the padlock including impressioning to create a new key or cutting the lock itself. More for show than actual safety and security, diary keys are incredibly small, light, and dainty keys that are used to lock the padlock on a diary. They generally are all the same shape, which means that if you lose your diary key, you can use the one from another diary without any problems. Generally, diaries will come with more than one key in case the original is lost, but it’s easy enough to buy an extra online if you are in a bind.